Welcoming another power addition to our Playgrounds Blend line-up: Patrick O' Keefe. He worked as a visual development artist and matte painter on a variety of films, video games, commercials and television shows. 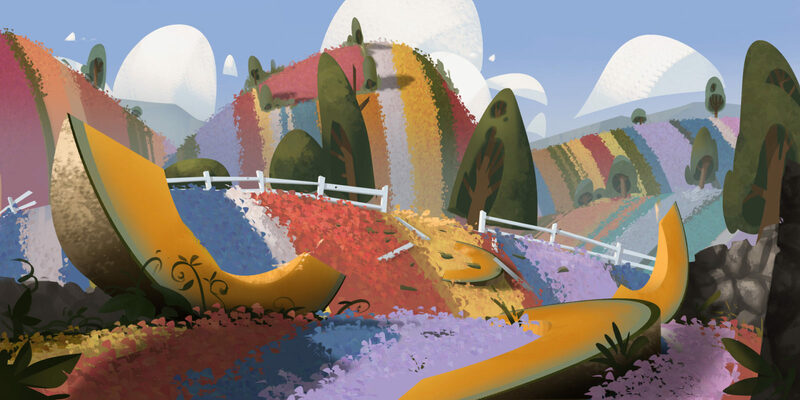 Next to that he was part of the Emmy- award-winning VR-project Henry and as a background painter on Disney Television Animation’s Big Hero Six The Series. More recently, he worked as an art-director for Spider-Man: Into the Spider-Verse at Sony Pictures Animation, so we are really excited to listen to insights about his vision and sources of inspiration. Toronto born but LA based Patrick O’Keefe’s career has been a collision of timelines from across the art-verse, starting with graffiti, then studying animation at Sheridan College, painting at Emily Carr, followed by working in gaming, and more recently, art direction and visual development on big Hollywood productions such as Spider-Man: Into the Spider-Verse and Hotel Transylvania 3. 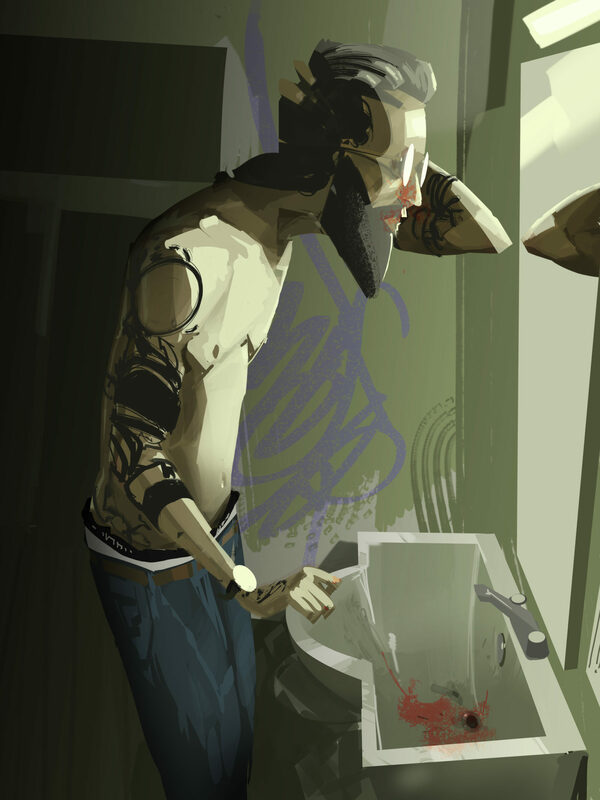 Patrick worked as a concept artist for EA’s Battlefield Hardline and Dead Space 2 & 3 video games as well as collaborating with Visceral Games, Mercedes, Blind Pictures among others. He also confessed: “Often I will take time to work on a variety of other projects, it is always fun to switch it up for a while and spread my wings. Lately I have been doing design work for a variety of animated commercials including clients such as Mcdonald’s, Kellogg’s, Rice Crispy’s and Kraft. Additionally I have been lending a hand in the development of some virtual reality animated shorts for Oculus and a few other unannounced studios, those are a blast because at each meeting I get a chance to try out the latest in VR tech”.